We have used Brixtax car seats for my children when they were small, so when my twin granddaughters were born I bought Britax with out even looking elsewhere! Awesome seats as always. Initially took awhile to get adjusted for three year old grandson. Upper Latch would not connect to Honda Ridgeline truck.connecter too small?? This is the second Britax Car Seat I have purchased. I have two grandsons and both require a car seat now. This is a safe and reasonable priced car seat my daughter approved me to have in order to travel with the boys. I would recommend to anyone! Excellent car seat, and at an amazingly great price for a Britax. We bought this car seat to go in the car we use less frequently because this car seat has all of the high-quality features of Britax (side impact protection, no flame retardant chemicals, etc.) but wouldn't be as comfortable as one of their nicer car seats for long car travel. For that, we bought the Britax Boulevard. So far we've been really happy with this seat and it was a good deal on Albee. It also takes up less room in the room than Boulevard (plenty of space in my compact car) and is MUCH lighter, so we'll take this one on air travel. Hoping this is as good as the one I bought 14 years ago. Bought a Roundabout 14 years ago for a Granddaughter and then another sometime later. Great car seat and now buying one for Great grandson to arrive in June. Britax quality is great and this price was very good which helps Grandparents on a limited budget who still want really good quality and safety. we just trust the quality is still the same. Albee Baby is a #1 retailer! I love this car seat so much that I bought it for my son and then again after my daughter outgrew her first car seat. This car seat was easy to install. We love the safety features and color. With our older 2 we had a different system that was much heavier. This is more simple. I can't believe how amazing this car seat is. I also can't believe how this is not famous as the perfect car seat for travel! This is the THIRD car seat I have bought specifically for the purpose of being lighter weight to take on vacations and then easy to install in the rental car. We are also using it at home as a car seat for grandpa's car so he can pick up the little one from preschool sometimes. THIS THING IS AWESOME! Easiest install by a long shot of any car seat I have ever encountered. High quality finishes on everything. Comfortable for both my toddler and my preschooler. 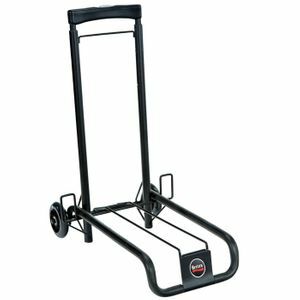 Much lighter weight than it looks, without sacrificing safety or quality. This is the perfect car seat. I love it so much. I only wish I had discovered it years ago rather than wasting money on the other seats I have used for travel (and grandparents' cars) in the meantime. Our "main" car seats are Clek Foonfs, because we wanted very narrow seats to allow three across in our smallish cars, but this one really gives them a run for the money, at a fraction of the price. Love it and will definitely be getting another one for grandma's car! I researched different car to seats. Our daughter is a big fan of Britax, so I was looking for a deal on this brand, and found one. Super easy install and flexibility. We had Cisco Senera and lived that they were so light but clips were the pits and always questioned the proper install. Not the case with this Britax, simple and clear. Very safe and great price. Will be using it for a long time. Loving this car seat in my Corolla. Daughter loves seeing new things as this seat sits higher than the first seat we used. I purchased a Britax car seat because my daughter-in-law had one and highly recommend the brand. I feel my grandson is very safe in the car seat because it's very well constructed and sturdy and has lots of padding. The fasteners are easy to use and snug up easily. I liked the car seat so much I bought an extra one for my son's truck so my son and daughter-in-law don't constantly have to move the car seat from one car to the other. Cons-the back of the car seat is not adjustable so doesn't allow it to conform to the slope of my car's seat, so I tuck a towel under the rear of the car seat base to raise it a little to fit better. Love the make of this seat. It's sturdy, easy to install and is perfect for my 18 month old. We also have it rear facing in the center seat with 2 other seats on either side in a Honda Pilot. Great for fitting 3 across. Very nice, sturdy, well made seat! Fits nicely in minivan. Well padded for smaller children and contains removeable padding that can be taken out as the child grows. Straps tighten easily and remain snug. Child seems comfortable in the seat. No complaints with this purchase. Would buy again. The car seat is great. The padding is much better than other popular brands. The only drawback is the area for rear facing where you thread the seatbelt through. It's a little difficult to get the seatbelt through. However it does have the latch clips for the seat anchors you can use if you choose. Overall the car seat is a great for the price and exceeded my expextations. We had a bit of a struggle to get it secured in the car. Once we figured that out, it's been a breeze. 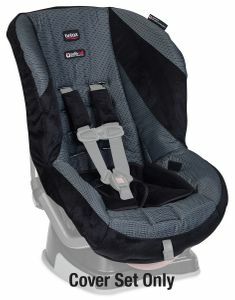 This is the perfect extra seat to go along with our Britax Marathon click tight, and it's more than half the cost. We were looking for a carseat for the extra vehicle. We wanted the saftey of a britax but not all the added extras that add the cost up. This was a great value and still have all the safety features of a britax we were looking for. This is my second car seat purchase so we could have one in both cars. We got the Britax Marathon as our first. They are basically the same thing, the Marathon just has more conveniences. I don't think the conveniences are worth the higher price tag. I like them better than other brands I've used. They feel much more sturdy and the seatbelt is smooth to loosen and tighten. I recommend the Roundabout for sure. Keep your eye for a sale though, there are always sales. Got one with my first son and he is 3 now and it still is great. Got a new one on sale for my 6 month old when he soon outgrows his infant seat. We love how easy it is and doesn't weigh a ton since we move them around quite a bit. Love the quick latches to the seat and that it just isn't complicated but fits nice and safe. Perfect carseat for my little two year old. I wish I had it a little earlier. Very soft but extremely safe. Crazy easy install. We needed a 2nd seat for our backup car and did not want to spend a lot on a seat, but we also did not want to skimp on safety. Britax Roundabout fit the bill. Good value, sturdy construction, and easy to use. We bought 3 of these and have been very happy so far. Installation was a breeze and it seems sturdy as well as comfortable! Best UsesMy son is 1 year old and 19 lbs so we used the included insert to help him fit! 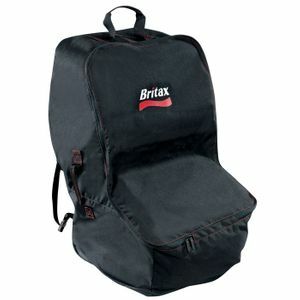 It carries the name Britax which is synonymous to reliability, and this one didn't disappoint. It is seldom to find detailed a convertible carseat at this price point, but here's one. It doesn't have the frills of the higher end ones, but it is still very safe and comfortable. The cloth is mostly of the velvet type, but I turn ac on the car anyways so it doesn't really make my baby sweat much. Size is comparable to every convertible out there. I use it on our back up car. Very nice seat with plug-in type latch connectors. Easy to install, easy to use. Albee Baby has the best prices and fast, free shipping! The price of this car seat was a steal and I love that it's the britax safety and quality that I know and love. Don't let the price fool you this seat is still made greatly. It is simply perfect. We purchased 2. My 2 year old uses this forward facing in and my 7 month old uses it rear facing. We wanted to new seats to put in my husbands truck. They work great. Really like this car seat. It's not quite as nice as the Marathon we also bought but it's a great value for a second seat. Easy to install. As a grandmother, this will be perfect for adding a safe ride for my grandchildren. The seat is well-constructed, attractive, appears comfortable, all at a reasonable price. ConsNone that I can tell, so far. I love the latches on this car seat compared to the other one we have. They are much easier to install and uninstall. The car seat does sit up much straighter with less legroom when rear facing than our Graco Contender though. ProsGreat Price for a Britax! Ordering and delivery went perfect. ConsLittle awkward in rear facing position but it is perfect for our use. 2nd seat and as expected a great purchase. Price was excellent and seat came within days! Thank you, Albee Baby! 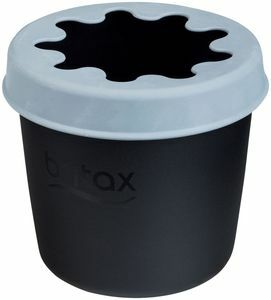 I purchased the Britax Roundabout for my son when he was about 8 months old. He turned three last month, and we're still using it. I love it just as much today as I did when I purchased it. Every couple of months I take the cover off and wash it, and it looks brand new. The seat is extremely easy to install/uninstall in the car, and is much more comfortable than most seats. It's also very easy to buckle my son into. I really like Britax products and we had the Bsafe infant carrier. When we transitioned our infant to the Roundabout we were disappointed with the harness. We struggle on a daily basis to get the harness snug enough. We like the design and fit. It seems like a really safe carseat, but struggling to get the harness snug is a big disappointment. I want to make sure my child is safe. AFTER TRYING A DIFFERENT BRAND,EVENFLO SURERIDE DLX CONVERTIBLE CAR SEAT WHICH WAS LISTED ON THE CONSUMER REPORTS AS A TOP CONVERTIBLE CAR SEAT; ITWAS TERRIBLE!! 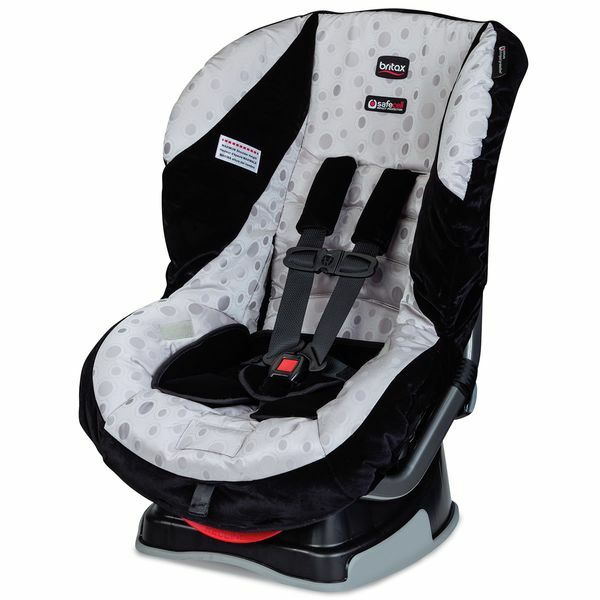 THIS BRITAX ROUNDABOUT CONVERTIBLE CAR SEAT IS EXCELLENT! IT IS VERY SECURE, SAFE, AND COMFORTABLE FOR MY GRANDDAUGHTER. I WOULD HIGHLY RECOMMEND THIS CAR SEAT! This car seat is my daughters first convertible car seat. It was easy to install and works well in my 2007 Ford Explorer. I am very happy with this purchase. Very comfortable and cushy. I've bought more expensive Britax seats for my children in the past. This seat has the same Britax quality. This Britax was a gift from my sister in law, I have loved it from the very first moment we used for our first child (our second is using it right now). So comfortable for the child, very easy to install, super easy to clean, not so heavy or bulky although if you want to fit three car seats in a small car is not the best option. Harness are very easy to snap in and out not like my other two car seats (different brands). If baby fall sleep looks confortable. I would use it for my third kid but it will be expired you then. Hopefully we could afford to buy only Britax!! The carseats are safe, affordable and easy to install. We bought them to use when grandkids are visiting and we don't have to undo the parents set and transfer from car to car. Nice looking and comfortable. Shipping was free and arrived in record time! I love my Britax roundabout! I feel so safe that my son is in such a sturdy car seat. I will never go with another brand of car seat again. We used this with our kids when they were little...they never cared for the infant seat much (different brand) but seemed happier in this! Bought this seat in 2014 for my 19 month old and easily installed it rear facing. He is now almost 4 and we just turned it around to forward facing. Love this seat, it has fit him very comfortably in the last 2 years. The cover is easy to wipe down, but also very easy to remove if there is a spill and it needs washed. Padding is still comfy even after 2 years of use. We will definitely be shopping for another Britax when he outgrows this one. This is a great product with lots of room for growth! When my son was turning 1 I was gifted a brand new roundabout. He made it to 2 and a half rearfacing in this particular seat. We loved the separate tightening on each of the lower anchors. It made installs a snap. I bought this foryear daughter when she outgrew her carrier carseat (also Britax). After much research a couple of years ago while I was pregnant, this is the only brand that I am willing to stick with. Safety, versatility, comfort and color options. They have it all. The convertible seat can go either rear or forward facing. And still looks like the day I took it out of the box a year ago. Also, my daughter hasent figured out how to uncle the harnest yep, which to me means it hasn't loosen up at all. I lover this seat and the brand. I bought this for my son and again for my daughter. 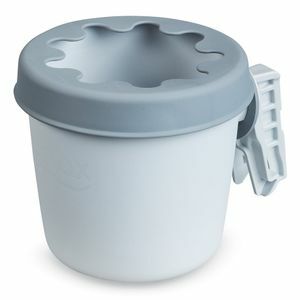 Great, easy to use, and durable! We bought the Roundabout when I decided we needed a less expensive car seat for my husband's car but didn't want to sacrafice safety or a higher weight limit. My son has consistently been large for his age (90th percentile weight, 75th in height on average) so higher height and weight limits are important to me. I had looked at other brands even though I was pretty attached to Britax by this point (I have had a B-safe, Marathon and a Pinnacle as well). It allowed me to rear-face my son well into his second year. I found the seat easy enough to switch from car to car when needed and I found the harness easy to adjust despite being a little more work than my Marathon (obviously). We are on year five of our Britax Roundabout car seats; we purchased one for each vehicle.. I'm impressed with the durability and the ease of installing and removing the seat from our vehicles. I can install the Roundabout in less than a minute and remove in less than 30 seconds. 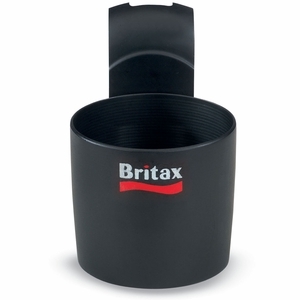 We're almost at the end of the height/weight limit and look forward to purchasing two new Britax boosters. I am trying to add this to the cart and it is not loading. Is there an issue with the website? The Roundabout Convertible Car Seat is a smart choice for keeping your little one safe and sound as you head out on life’s travels. SafeCell Impact Protection surrounds your child in safety components that work together to protect well beyond the established federal safety standards. And Complete Side Impact Protection shields your little one in a deep protective shell designed to absorb crash forces and protect from debris. A car seat works best when it provides the right fit so the Roundabout comes with a 2-Position Buckle to keep up with your growing child. Installation is made simple with Easy-On / Easy-Off LATCH Connectors that lock into place with an audible click and are easily released with the push of a button. The Tangle-Free, 5-Point Harness prevents the straps from twisting making it easier to load your child into the seat and ensuring a safer ride. Plush Foam Padding provides premium comfort at every touch point and there are even 3 Recline Positions so your child can relax at the right angle. The Roundabout converts from a rear-facing position (for babies 5-40 lbs.) to a forward-facing position (for children 20-55 lbs.) to keep your child safe, comfy and secure for the road ahead. SafeCell Impact Protection is an integrated system of safety components that work together to protect your child well beyond the federal safety standards. Including an Impact Absorbing Base and Tether, an Impact Stabilizing Steel Frame, and Complete Side Impact Protection. SafeCell means your child is surrounded in best-in-class safety. Quick-Adjust, 2-Position Buckle allows you to easily move the buckle outward for a comfortable, secure fit as your child grows.